The challenge: take a group of 20 independent-minded and passionate young people from many different geographical locations, have them spend a week together talking about the pressing issues facing their generation — everything from inclusion in the arts to mass shootings to the lack of funding for mental health services in schools to violence targeting ethnic groups in Burma — and have them all commit to working on a single peacemaking project over the next nine months. The result: a project framework that allows flexibility for smaller groups to research and impact the issues that are most meaningful to them. Our Session 3 campers have coalesced behind a creative idea that will serve as a model for other youth who want to change the world. 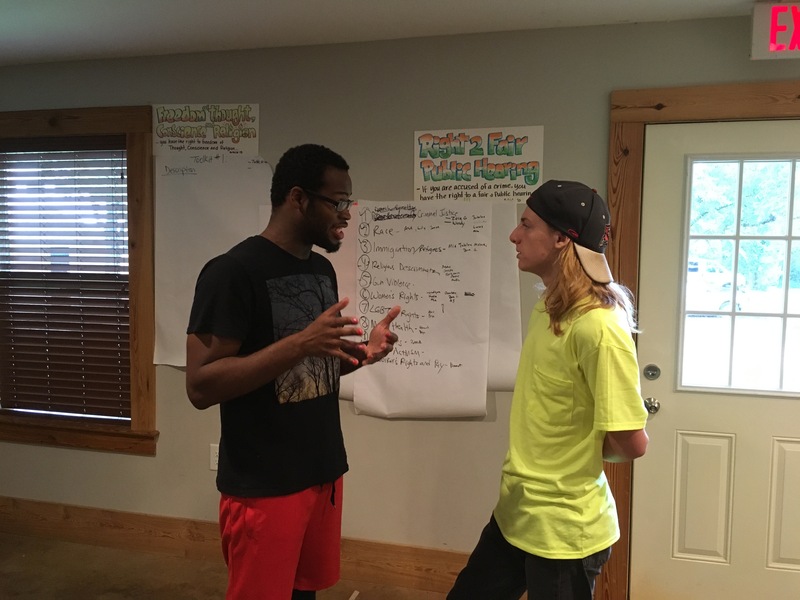 They will be developing an online toolkit for social activism which will outline the steps needed to develop a successful initiative, and which will provide examples of how the campers themselves have implemented these steps to make a positive impact in their community. Over the next months, pairs and small groups of campers will be busy working on smaller projects and compiling their reports and suggestions for the toolkit. 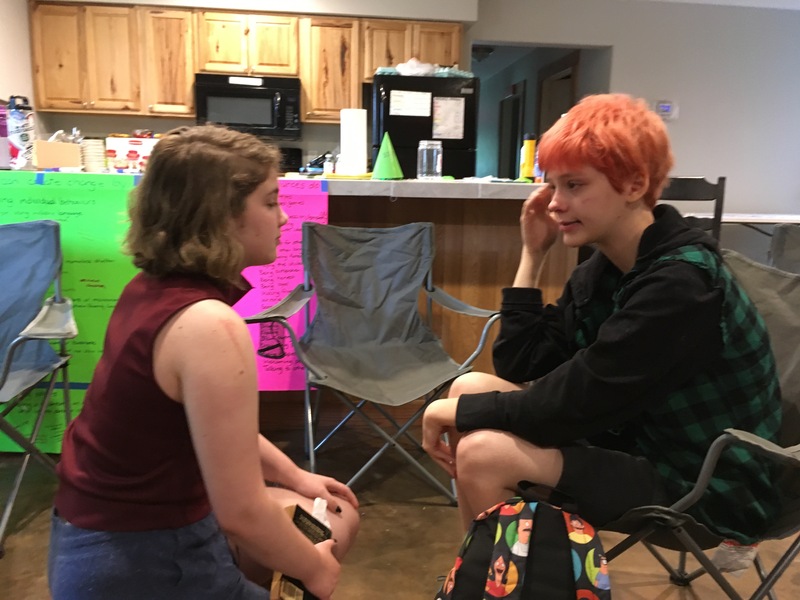 Issues that these smaller groups are tackling include immigration detention, inclusion of children with developmental disabilities, LGTBQ allyship, combating religious persecution, and mental health services in schools. By March, the toolkit should be complete and ready to share with the world! 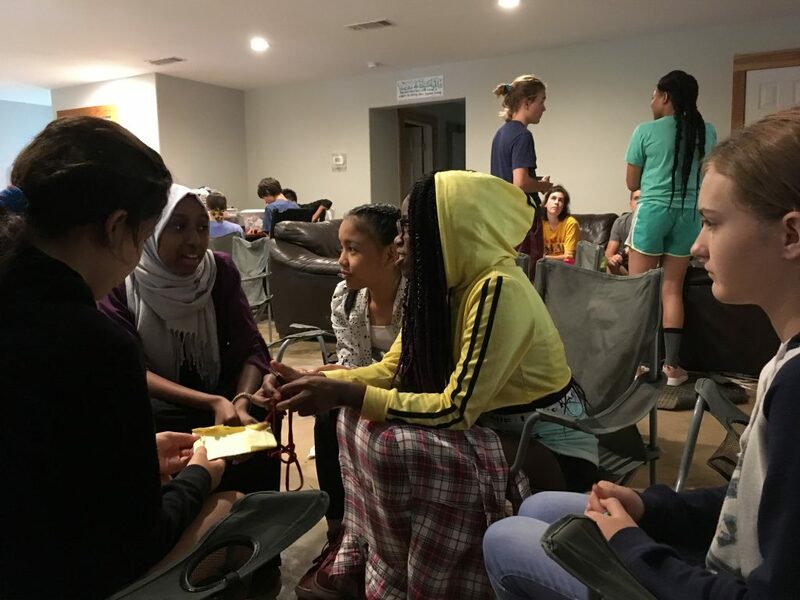 And when our campers reconvene in April to attend the PeaceJam conference in Tallahassee, they’ll be sharing their toolkit with several hundred youth from all over the Southeast. Our campers have committed themselves to an ambitious plan. Peacebuilders staff are ready to give plenty of support as needed, and to celebrate with them their successful completion of their projects and toolkit! Campers Farzana, Maha, Mu Ku, Crespo, and Anne consult about how to best uphold the right to practice one’s own religion. Hannah and Bryn think about how to support mental health services in schools.